STA continues to expand its reach internationally, and now thanks to Julie-Ann James, the founder and director at Aquababies, her franchisees are successfully running STA baby swimming classes in several countries across the world including Jordan, Ireland and Turkey. Julie-Ann said that this is the first time STA baby swimming has been introduced to Turkey, so curiosity is at a peak. Aquababies, who have been teaching young children and babies to swim for more than 20 years, first established a franchise in Istanbul in Turkey in January 2012 and despite some initial cultural misgivings about the benefits of baby swimming, the programmes have proved really successful, and they are now holding lessons at six pools with three trained instructors. Julie-Ann said that the brand in Turkey is still growing but the curiosity that has been aroused about baby swim classes means that it is turning a corner in raising awareness, thanks in part to a positive programme of education from well-known Turkish paediatricians. She also confirmed that the lack of swimming opportunities for children in Jordan prompted Janna Toktoralieva to set up an Aquababies franchise in the country. It was when Janna’s son Daniel turned five months old that she spotted a gap in the market. “My husband had a project assignment in Amman. Straight away I realised the lack of swimming opportunities for children. Thus, the idea was born of introducing Aquababies programme in Jordan,” Janna explains. 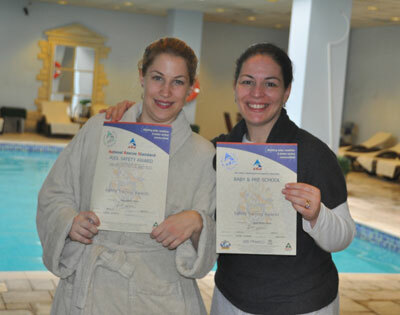 Janna qualified with the STA in December 2012 and launched the swim programme on January 29, 2013. 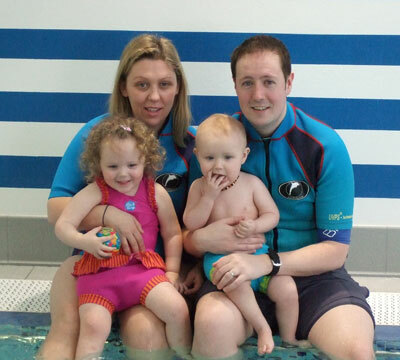 Closer to home, Phil and Dee Casey who set up an Aquababies franchise in Ireland in September 2011, are seeing a huge demand for baby swimming and now teach about 200 babies a week across nine pools in Dublin, Kildare, Meath, and Wicklow. Further courses are planned and they are now looking to become STA Tutors so they can run Baby and Pre-school courses throughout the whole of the Republic of Ireland. “We have seen just how much of a demand for baby swimming there is in Ireland and there are very few structured and progressive courses like Aquababies, which makes us stand out from the rest,” says Dee. Julie-Ann James, the Founder of Aquababies also has STA-qualified coaches in Indonesia, Barcelona, Poland and China and has plans to further expand her franchises both internationally and nationally. Roger Millward, STA’s CEO said that it’s great to see that Aquababies and its teachers are expanding the opportunity for more and more young children to learn how to swim. See aquababies-uk.com for more information.